AKIPRESS.COM - Taekwondoin from Uzbekistan won gold medal in men's 80 kg on Wednesday. 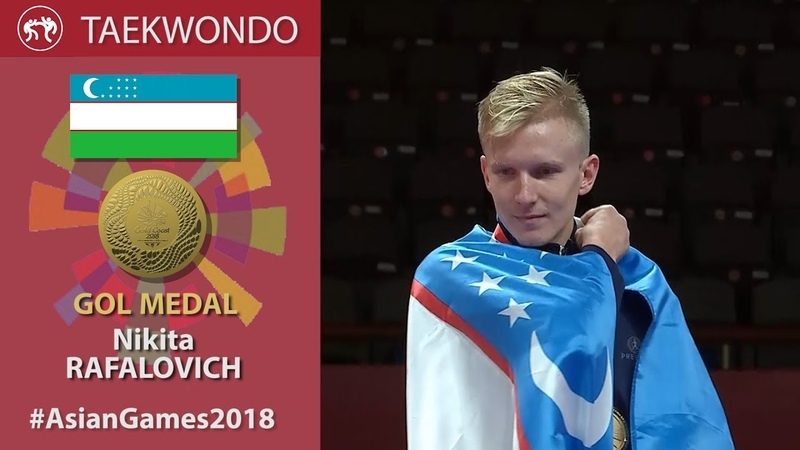 Nikita Rafalovich, 24, of Uzbekistan defeated South Korea's favorite Lee Hwa-jun, 22, 21-18 in the final held at the Jakarta Convention Center in the Gelora Bung Karno sports complex. It was the first gold medal for his country in Taekwondo in this year's Asian Games. Iran's 19-year-old Hosseini Mirhashem clinched a gold medal too after beating 23-year-old Zhao Shuai of China 17-11 in the final.